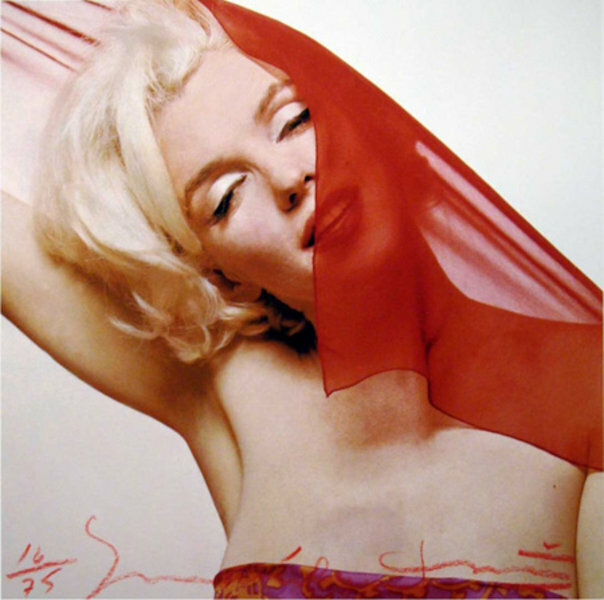 Born in Brooklyn in 1929, Bert Stern had an early interest in advertising. In the 1940s, Stern found himself working for such magazines as Look, where he was an assistant to Hershel Bransom, and Mayfair, where he was soon an Art Director. During these early years with the magazines, Stern began his work with photography as well. Stern was drafted into the Korean War and stationed in Tokyo where he began publishing his first photographs and met his soon-to-be wife, the model Teddy Ayer. Around 1953, he came back to the United States and made a name for himself with his Smirnoff advertising campaign. He then went on to edit Fashion and Travel magazine. After directing the documentary Jazz on a Summer's Day, set at the Newport Beach Jazz Festival and released in 1959, Stern remarried - this time the ballerina Allegra Kent. Back in New York, he proceeded to open studios. During this time, he took some of the most iconic celebrity photographs, images that still resonate for us today. In this image of Gary Cooper, for example, Stern considers the distance between the man and the star typecasting. Cooper had just come off the film High Noon and was associated with the gun-heavy Western genre, yet, here, he wears a simple suit of everyday life. 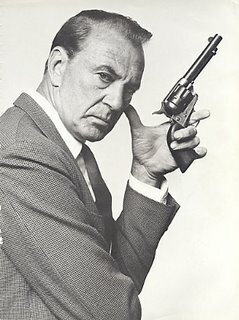 And, of course, all if this foreground is contrasted against a stark, white background, which emphasizes the gun and the star power that was Cooper during this period. Nevertheless, the photograph insists on showing the man behind all that as well. In this photograph of Marilyn Monroe from his last sitting with her six weeks before her death, Stern captures similar contradictions and ironies as he did in the Cooper photograph. Here we see the vibrancy of her past self, the vibrancy of her past career, yet that past covers her, blocking out a clear view of her - both for herself and for others viewing this image. The color red also represents a harsh, cutting juxtposition to the pale skin and platinum hair - soft and vulnerable. Marilyn's closed eyes speak to someone who is tired, drunk, drugged - in other words, someone who is not energetic and in great shape pyschologically or otherwise. Note also that Stern uses the triangle in both images. The three sides of a triangle represent the many truths, complications, and sides of humanity - even more complicated with the additional burden of international stardom. Again, in this photograph of Elizabeth Taylor and Richard Burton, Stern captures his recurring theme involving ironies and contradictions within human relationships, indeed an essential truth of the human condition. On the one hand, Burton is kissing Elizabeth's neck. She is smiling, pleased. On the other hand, we can't quite see his kiss and there is something in his looming posture, the black they are wearing, and the position of the supposed kiss that is reminiscent of a vampire bite. Note also that we can't even really see Burton's face. It is hidden from us - something is hidden from us. The tempestuous nature of the Taylor-Burton relationship is a well-documented fact. This photograph captures the love-hate relationship with stark clarity and emotional openness. So why do we love Bert Stern? Why are his photographs some of the most haunting? Stern doesn't just snap a photo - he works with ideas and thinks through what the images might reflect. These reflections are not simple and straightforward though. Stern considers both what the image will reveal about the subject but also what the image will reveal about the human condition, what it means to be human. Thus his work is laced with emotional truth - and it is that very emotional truth that resonates with us over time, and even haunts us.